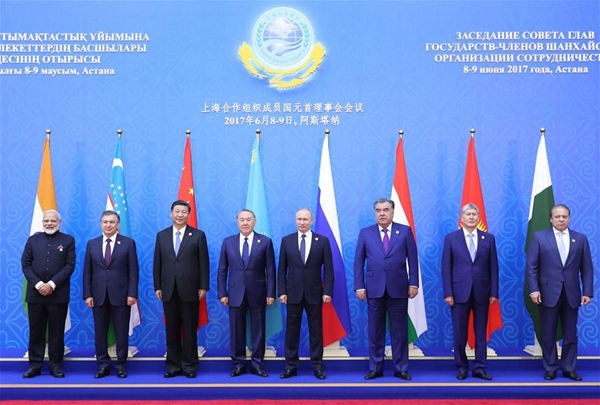 Expanded economic cooperation among members of the Shanghai Cooperation Organization (SCO) will benefit the region, according to remarks made at the organization's yearly summit. Speaking at the annual summit of the SCO in Astana, Kazakhstan, Chinese President Xi Jinping called for deepening practical cooperation, as regional integration and economic globalization are the trends of the time, and it is important for them to bring benefits to all countries and peoples. To mobilize more resources and driving force for practical cooperation under the SCO framework, China supports the establishment of a mechanism for sub-national cooperation and has vigorously promoted SME (small and medium-sized enterprises) cooperation by its initiatives of economic think-tanks alliance and e-commerce alliance of the SCO, Xi said. Bilateral trade relations have grown closer between China and other SCO member countries, as trade facilitation has improved, with China becoming the largest trading partner of Russia and Kyrgyzstan. Meanwhile, mutual investment has grown steadily, with China's non-financial direct investment in other SCO members as of April 2017 amounting to 74.2 billion U.S. dollars and investment in the opposite direction totaling 1.09 billion U.S. dollars, according to Zhong Shan, minister of commerce. Zhong highlighted achievements in establishing economic and trade cooperation zones, noting that China has built a total of 21 such cooperation zones within other SCO countries, helping to expand local employment and increase tax revenue. The potential for deeper and more expansive SCO economic cooperation remains huge as regional cooperation starts to expand from project development to synergy in economic strategy, especially over the China-proposed Belt and Road Initiative. Belt and Road cooperation is aimed at building an infrastructure and trade network to improve the interconnectivity of Asia, Africa and Europe along and beyond the ancient Silk Road trade routes. China and other parties are exploring ways to coordinate the Belt and Road Initiative with regional cooperation initiatives such as the Eurasian Economic Union and national development strategies, including Kazakhstan's "Nurly Zhol" strategy. The inclusion of India and Pakistan in the SCO expanded room for development of the Belt and Road Initiative in the region, whose GDP volume accounts for about one fifth of the global total. In addition to enhanced transport connectivity, an SCO trade facilitation agreement will be an ideal first step to deepen regional economic cooperation. The SCO will see its total GDP increase by 98.8 billion U.S. dollars if member countries exempt import tax, according to a report released by the Chinese Academy of Social Sciences. Exports would increase 20 billion U.S. dollars while imports would grow 19.8 billion U.S. dollars in the region if member countries cut customs clearance time by 25 percent, benefiting all member countries, especially Central Asian nations and Pakistan, the report added. Last month, the Ministry of Commerce and more than 80 international organizations and government agencies from other countries jointly launched the Initiative on Promoting Unimpeded Trade Cooperation along the Belt and Road during the Belt and Road Forum for International Cooperation in Beijing. "We are willing to work with other SCO countries to implement the initiative to expand regional trade and investment, facilitate market integration and benefit local people," Zhong added.